The continuation of projects and research at the Oriental Institute has been called into question following President Donald Trump’s January 27 Executive Order banning immigration from Iran, Iraq, Syria, Somalia, Yemen, Sudan, and Libya. In an interview with The Maroon, Gil Stein, the director of the Oriental Institute, argued that the Institute is the part of the University “most impacted” by the executive order. Although Trump’s initial travel ban was halted by federal courts, a second order is expected to be released this week targeting the same seven Muslim-majority nations. Founded in 1919, the Oriental Institute was envisaged as a “research laboratory for the investigation of the early human career that would trace humankind’s progress from the most ancient days of the middle east,” according to the Institute’s website. The Oriental Institute is one of the world’s leading centers for the study of ancient Near Eastern civilizations. As a branch of the University, the Oriental Institute carries out research projects across the Middle East. They hold archaeological digs, perform cultural heritage preservation work, and have employees doing work in museums and studying monuments. The Institute also houses a center for the study of the ancient world where students, scholars, and faculty from around the globe give lectures, attend international conferences, do research, and work with the faculty at the Oriental Institute. “Every single one of those endeavors and groups of people is attacked by this executive order,” Stein said of those involved in both fieldwork and research. In the amicus curiae brief filed last week, the University of Chicago cited the Oriental Institute as an example of the University facing direct negative consequences of the executive order. According to Stein, the Oriental Institute was going to host a Scottish archaeologist to work for a week in the landscape archaeology laboratory. However, because he had travelled to Iraq and Iran within the last five years and wasn’t able to obtain the visa waiver that is traditionally given to researchers, his trip had to be postponed. 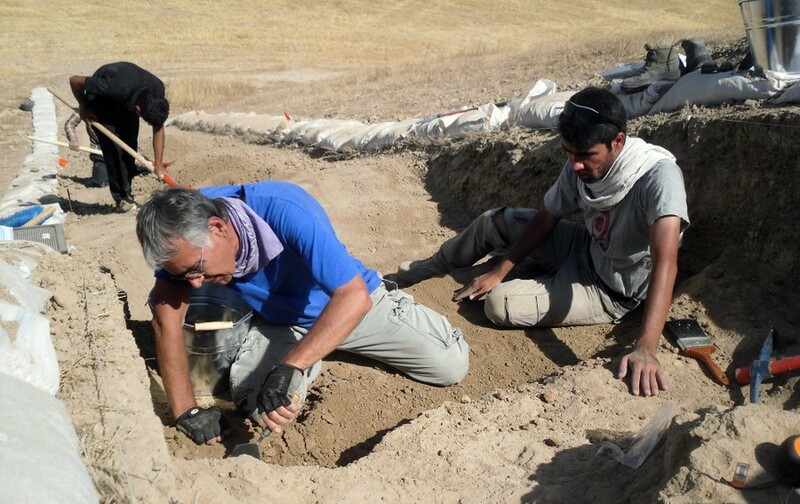 As part of an archaeological excavation project in Erbil, Iraq—which is a part of the Kurdish autonomous region of the nation of Iraq—the Oriental Institute has been working to bring the head of antiquities for the Dohuk Governorate in the Kurdish Regional Government (KRG) to Chicago to work with professors studying Mesopotamian languages. “He can’t come now, because he’s defined as an enemy in the executive order,” Stein remarked. Due to the fact that many scholars studying Mesopotamia or the central part of the ancient Middle East have gone back and forth from at least one of the seven countries, the executive order threatens to dramatically decrease international participation within the Oriental Institute. “Inherently, [the scholars] will end up being viewed as suspicious people or their lives will be made hell,” Stein said. According to Stein, the executive order also threatens to disrupt the Oriental Institute’s plans to resume excavation work in Iran in the near future. Before the Iranian Revolution, the Oriental Institute’s archaeological excavations in Persepolis were the first in Iran by any American university. However, all work was halted after the Revolution in 1979, and the University has not been able to resume work for 39 years. Stein says that “all of the pieces were falling into place,” and he was hopeful that the Oriental Institute may have been able to return to Iran. However, Trump signed the executive order six weeks before Stein planned visit to Iran to lay the groundwork for performing work there, and he now fears the Iranian government may be more hesitant to allow Americans enter the country to perform academic work. “This is a disaster for our research and we have to think of ways around it,” Stein said. Stein says that he has been in communication with the Office of Legal Counsel as well as the Provost and the head of the Office of Global Engagement. They have been planning to work around the executive order should it become law. According to Stein, both the University’s commitment to global studies as well as its various international centers in Delhi, Paris, Beijing, and Hong Kong provide a hopeful path towards maintaining global partnerships. Stein expects to see an increase of conferences hosted at these locations, rather than in Chicago as a work-around to the executive order. “If we want to have conferences with major participation with major scholars, and we still want it to be branded to the University of Chicago, we would need to work much more closely with those centers and through those centers,” he said. Though Stein is confident that projects in Egypt, Turkey, Jordan and other untargeted countries will carry on as planned, the uncertain future of the Institute’s work in the seven targeted areas has many worried.